How does the city handle the homeless sleeping on the subway? The problem is getting new attention this week from MTA leaders. Andrew Siff reports. 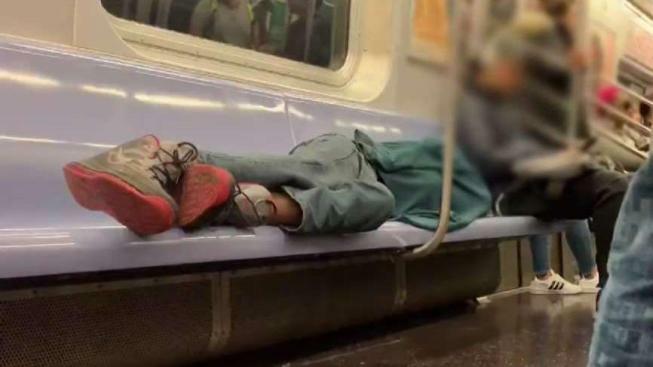 But critics say that approach is "inhumane and frankly ineffective"
It's a sobering part of any subway ride: riders who have no place to call home stretching out on the train, a symbol of the city's homeless epidemic. The crisis has gotten fresh attention from MTA President Andy Byford, who says his station managers need to do more -- especially when some homeless people on trains take up a quarter of the car. He acknowledged it wasn't an MTA problem but a societal problem. Still, Byford said, "there is a fundamental difference between someone coming in to keep warm, and lying across a seat. That's not acceptable. That crosses a line." His comments drew a quick rebuttal from an MTA board members. "They are human beings with individual problems," said MTA board member Charles Moerdler. "And to deal with them all as one is just wrong." The policy director of the Coalition for the Homeless also calls that attitude "inhumane and frankly ineffective." "Folks who may be angry should be directing their anger towards lack of homeless solutions in New York City," said Giselle Routhier. Police, meanwhile, say they're already devoting tremendous manpower to the subway system. "Homelessness isn't something we can arrest our way out of," said NYPD Chief of Department Terence Monahan. "We have 150 officers overnights [on the subway]. Part of their mission is to try and get people help." But Muzzy Rosenblatt, who leads the orange-jacketed outreach teams for the Bowery Residents Committee, wondered, "Where do you expect that person to go? Where do we want them to sleep instead?" 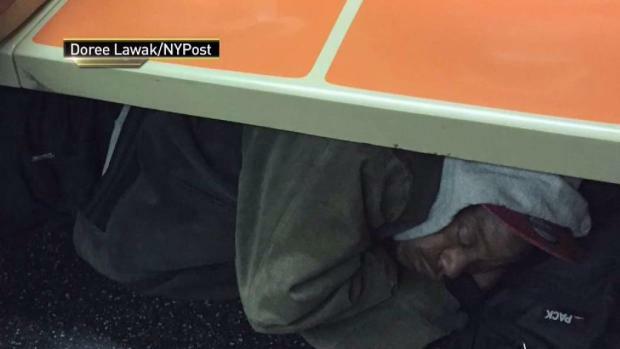 A photo of a man sleeping under subway seats has spurred a controversy of the homeless on mass transit. Melissa Russo reports. His mission is to figure out, "How do we use the resources we have and motivate people who are living in the subway to seek a better life?" Compassion remains the key, he said. "Our motto is not to give people a handout but a hand up," said Rosenblatt.